I just got back from seeing The Giver. (You’re reading this on Thursday, but I’m writing this on Wednesday.) Did I like the movie? Did it more or less follow the story of the original book? I DON’T KNOW. I’M SO CONFUSED RIGHT NOW. I’m still trying to figure how I feel about this movie. Why don’t I write this review in list format? That sounds like a good idea, because my thoughts are all jumbled together. Warning: Spoilers ahead, particularly if you haven’t read the book! Jonas narrated at points scattered throughout the movie, and I’ve always found those voiceovers irritating – but the book was told exclusively from his point of view, so how else were moviegoers to know how he felt? There were quite a few pointless changes – Fiona was assigned to work with newchildren rather than the old and Asher was a pilot rather than a recreation director because… because the filmmakers that would be cool, I guess? The pacing oftentimes felt rushed – why make your movie only ninety minutes long if it results in everything being crammed in? [Scrolls back up through her lists] Hmmm. I seem to have more complaints than praise. So what’s my final verdict on the movie? Well… it wasn’t as bad as I thought it was going to be. If the whole thing had been as messed-up as the trailer, I would’ve given it one out of five stars. But I think it deserves slightly better than that. As I wrote above, everything looks as it should. Visually, there’s practically nothing wrong with the movie, which is a nice change from all the other book-to-movie adaptations that don’t even attempt to follow the original stories’ descriptions. But it doesn’t feel right. As I wrote several times above, emotions are lacking in this film. Sure, Jonas doesn’t feel much of anything when the story begins, but gradually he does. And in the book, his story makes us feel, too. With the movie, I’m left wondering if the filmmakers are as emotionless as the residents of the community, because they completely failed to address any of the deeper issues mentioned in the book. 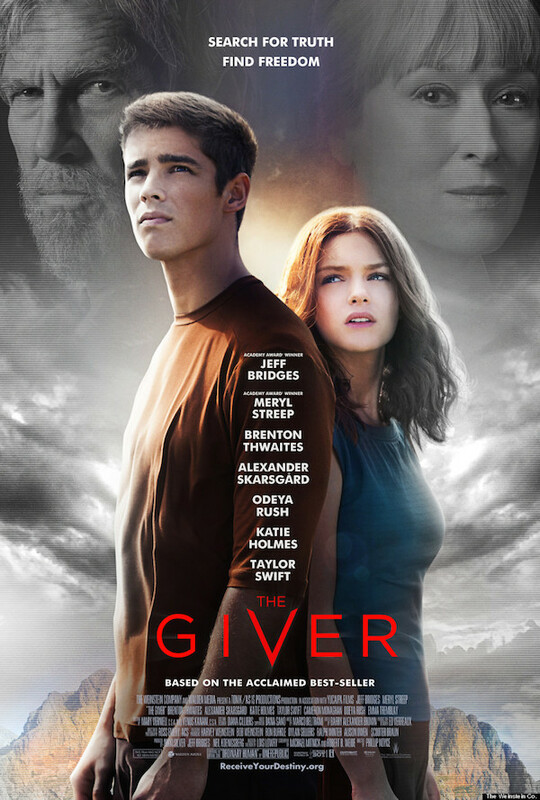 The Giver‘s film adaptation has unnecessary action scenes and romantic interludes and… nothing that really made me think. The book was deep, especially for a children’s story. The movie is NOT. It was neither as thought-provoking nor as chilling as the book was. 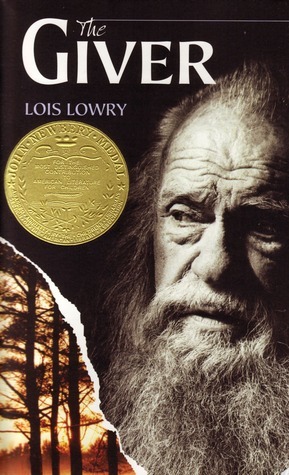 I can deal with some changes in a book-to-movie adaptation, but not this one: The realization that Jonas and the Giver are the only ones who really know anything is a HUGELY important part of the book, and I’m disappointed that it was missing from the movie. Cinematographically, this film is beautiful. And it has a nice film score. But I can’t find much else to like about it, which is a shame. If you want a really good dystopian story, read the book instead. This entry was posted in Books and Reading!, Nevillegirl's Adventures!, Non-Neville Posts, Uncategorized and tagged books, dystopian fiction, Lois Lowry, movie reviews, movies, reading, reviews, science fiction, The Giver. Bookmark the permalink. Coincidentally, I was just debating whether to read The Giver or just watch the movie (my TBR list is just so long that I have to forget about getting to some things…), but after this review I will most likely be reading the book..
P. S. Would you be interested in doing a button swap with Teenage-Blogger-Central? I highly recommend the book. 😛 It made me think so much, and it’s an EXTREMELY quick read – only around 200 pages, I believe? Oh, sure! I actually meant to put the TBC banner on my blog, but I guess I forgot about it… thanks! Yay, I’m glad you enjoyed it! 😀 I’ve read that book, oh gosh, I don’t even know how many times. Six or seven, at least. Oh dang. I’m actually looking forward to this movie. I mean, I still am, because I usually aren’t too harsh on movies. but I actually thought you reviewed it really fairly! I LOVE YOUR REVIEW STYLE. For books. Movies. Whatever. I just feel like you’re always so fair and logical. 😉 *ahem* Okay, okay…so I’m disappointed it’s not as emotionally impacting. That’s what I want in a movie. Like in Catching Fire when you literally can’t breathe at the end. THAT’S what I want when a book gets adapted into a movie. I saw the film trailer first, and was a little sceptical, but then I read the book and I was just drawn into it so quickly. About halfway through it, I watched the trailer again, and was so unimpressed with it – having now finished the book, I’m still debating on whether or not it’s worth it to see the film, because I thoroughly enjoyed the book in the end.